Label Finishing Trends. Finishing for Digital Label Production. Labels represent a big opportunity for digital print technologies. The inherent benefits of digital print technology—cost-effective, short-run work and customization—are attractive to marketers looking for testing opportunities and startups that don’t need a large stock of labels at once. Aside from the printing technology used to produce digital labels, finishing is essential to these applications. Inline, nearline, and offline—a variety of finishing options are available. Functions include, but are not limited to, lamination or varnish, foiling/embossing, cutting, and unwinding and rewinding. There are benefits to both inline and offline solutions, but print engine manufacturers are incorporating more finishing functions inline. Above: Dantex offers modular press solutions that can be upgraded in the field. Finishing functions required for digitally printed labels vary from UV varnish and lamination to hot stamping/cold foiling and corona treatment systems. For Michael Panzeri, VP, D.P.R. Labeling LLC (DPR), necessary finishing comes back to what the end user is trying to accomplish. There are many questions that need to be answered. Do they need only one size label, or one size roll, or the ability to do many? Do they want the equipment to slit larger rolls down to smaller sizes? How will the rolls be used—hand applied or placed on an applicator? What quantity of labels is typically needed—will there be a lot of turnover with smaller volumes, or will larger rolls be needed? 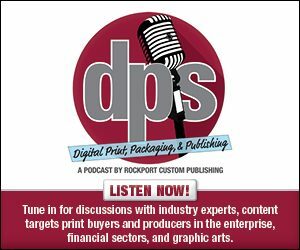 The ability for label and packaging converters to differentiate themselves from the competition is important to the success of today’s digital printing environments. Tony Bell, sales director, A B Graphic International Ltd. (abg), notes that traditionally it was easier to do. “Digital print can mean more of a ‘me too’ situation where output from machine A is the same as machine B. Finishing and embellishment can make the difference and provides the opportunity to stand out,” says Bell. Embellishments—while not a requirement—are an attractive option. “Our experience in the market is that customers require a simple-to-operate system for both print and finishing. Embellishments are talked about, but in reality 90 percent of our Picocolour customers are running short-run jobs and die cut, slitting, and rewinding inline so that the rolls are ready to ship straight off the press,” shares Simon Cosh, business development manager, UK, Dantex Group. Regulations also play a role, as multi-layer labels are necessary on some products due to legislation requirements. To produce these, converters need a delamination/relamination and crossover modules on their finishing line. “If more than three-ply labels are required, a specialist booklet machine is needed,” shares Bell. “For users looking to protect labels from fingerprints, smudges, abrasion, and the outdoor elements, there are two options—lamination or UV/aqueous coating,” says Sabrina Reed, product solutions, Kompac. Each method has its own benefits and it’s important to consider the end application and use. Reed says UV coatings provide a super glossy sheen after finishing, and are commonly used to add depth and make printed colors more vibrant. Aqueous coatings are water-based and provide a neutral semigloss finish to the label substrate. Automation is recommended for digital label production. Laminators provide an opportunity to produce durable digital labels with added protection and other visual enhancements. “In addition to creating a gloss, matte, or textured finish, laminating films help protect against scratches/abrasions and fading caused by UV light,” says Brian Biegel, marketing communications specialist, D&K Group. Depending on the requirements of the print provider or converter, finishing needs vary. Inline, nearline, and offline configurations each offer advantages and disadvantages. James Thomas, business development and marketing manager, Focus Label Machinery Ltd., lists a variety of benefits to inline finishing for label production, including shorter production and turnaround times, greater flexibility and modularity, blank reel to fully finished product capability, reduced footprint, single person operation, multi-skilled, and reduced power consumption. Olaf Walter, president, mprint llc., adds faster throughput, reduced operator costs, and precise run length as benefits to inline finishing for label production. For label finishing, print providers look for maximum flexibility. Matthias Marx, head of marketing, Gallus Group, says a majority of finishing is done after digital printing, but print providers should also have the ability to use certain functions in front of the digital printing unit. For example, users should be able to make use of the high opacity of screen printed white on transparent substrates before starting digital printing to reach the utmost print quality on the transparent substrate. He says the most common configuration is a digital-only printing machine followed by a separate converting line. Selecting inline or offline depends on the type of label and finishing you want, suggests Bell. For inline finishing he says using a buffer of 18 meters, enabling the print engine to synchronize without affecting the finishing unit, is great for minimizing set up times and increasing efficiencies by saving on expensive work in progress areas. Bell points to two types of cutting available for inline finishing solutions, one uses a conventional die, suitable for cutting at very high speeds. “This is more suited to digitally printed jobs cutting the same shape,” he shares. The other type makes use of laser cutting, which negates the need to wait for dies to be ordered and delivered, as well as the need for storage. Bell says the other advantage to laser cutting is the range of label shapes and sizes that can be cut. Nearline lamination systems are also available with feeder options. A roll of printed label stock can be taken from the backend of a digital printer and placed onto a roll unwinder in front of the laminator. “The benefit of this system is that there is no bottleneck at the lamination station. Some digital printers can run faster than laminating systems and can cause a production backup in that area,” explains Biegel. Many digital label printing systems integrate finishing inline for an end to end label process. Inline finishing allows for labels to be completed in a one step process, reducing waste, time, and labor costs, says Mike Barry, product marketing manager, Fujifilm North America, Graphic Systems Division. Producing labels with inline finishing saves the user time and money by taking a multi-step process and completing it in a single pass. “Digital printing already eliminates downtime due to plate and ink color changes. By incorporating accurately planned job changing, downtime on an inline digital press can be almost eliminated. This time savings results in increased throughput on the equipment, more jobs run per shift, and faster return on the capital investment. Plus, only one operator is needed to run jobs from start to finish versus a separate operator for the printing press and each finishing machine,” says Katelyn Bohr, marketing manager, Colordyne Technologies. As digital label production continues to grow, finishing needs evolve. Biegel sees a recent trend towards using thermal—or heat activated—laminating films in place of pressure sensitive—cold—laminating films on top of digitally printed labels. He says thermal laminating films do not contain a disposable release liner and generally cost at least a third less than pressure-sensitive films. These thermal laminating films offer comparable label performance at a reduced price and with less scrap. However, he points out that many standard laminating films are not compatible with new digital print technologies. “As new digital printer models enter the market, we can expect to see more specialty laminating films and adhesives designed for specific print engines,” he offers. Several finishing options are coming to market. Bacon says hybrid is more popular, where there is a digital print engine integrated in with the traditional flexographic line. “As speeds of UV inkjet printing systems increase to over 200 feet per minute (fpm), the need to finish at those speeds with full rotary die cutting systems is becoming more popular.” This is ideal for longer runs with fewer job changes or variable printing. Additionally, automatic slitting reduces operator intervention and setup time and reduces movement in the plant when considering lean manufacturing practices, shares Bacon. Another trend involves the ability to add UV inkjet printheads to finishing lines for variable printing, sequential numbers, and barcodes. This allows a flexographic printed job with static information to be customized during the finishing process. Or have multiple UV inkjet colors to provide all types of printing embellishments, points out Bacon. Manufacturers and print producers are always looking for new solutions to everyday problems. “With the ongoing changes to the digital label market space, customers demand more and manufacturers respond. Machines are getting smaller, quicker, and are streamlined for compatibility with printers of all shapes and sizes. The number of primers and coatings is increasing as new substrates and technology come on the market,” adds Reed. Many finishing providers target the label industry. As digital print continues to gain popularity, label finishing vendors adapt to meet new demands. abg launches the Jetfx digital embellishment module at LabelExpo, which is an offline, fully digital system that creates varnish and foil effects. This adds to the company’s digital label portfolio, which includes its flagship Digicon Series 3, a digital finishing solution available in both inline and offline configurations. The company also offers an inline Digilase laser cutting finishing machine, which is an exclusive digital solution. D&K manufactures a range of offline and inline laminating systems suitable for digital label production. It partners with printer manufacturers, including Xeikon, to configure inline laminating systems that work in tandem with digital print engines. DPR offers digital finishing systems suitable for all levels of production—from entry-level users looking to cut small quantity sheet labels up to full roll-to-roll production level for converters and commercial printers. Its finishing lineup includes the Gemini digital die cutter; Virgo cutting and finishing for label rolls from 4.3 to 8.86 inches; Scorpio roll-to-roll digital finishing system that includes cutting, lamination, matrix removal, and slitting; and Taurus label finishing system, including laminator, waste matrix removal, and slitting and rewinding preprinted labels for larger production printers. Grafotronic offers entry-level SCF, mid-level VF2, and fully modular DCL2 digital finishing equipment with full rotary or semi-rotary capabilities. The company also offers the slitter rewinder SR2 and HI2 inspection units for label production. Its mid-level and fully modular systems can run inline, offline, or nearline. All Grafotronic machines include flexographic varnish, lamination, die cutting, slitting, and rewinding. Grafotronic demonstrates its GigaFast, 525 fpm, semi-rotary die cutting system at LabelExpo. Kompac offers UV/aqueous coating solutions that can be used both inline and offline for sheets and web, compatible with most digital, inkjet, offset, and flexographic printers on the market. A variety of digital label systems offer inline finishing functions. Here we highlight some of these systems. Colordyne offers a range of solutions with different finishing options. The 1600 Series bench top unit can utilize pre die-cut material, while the Commercial Class and Production Class solutions have inline and offline finishing available. The company’s newest Commercial Class solution, the Colordyne 2800 Series Mini Laser Pro, offers inline printing, laminating, laser die cutting, and matrix removal. Further, Colordyne’s Production Class—or 3600 Series—offers two retrofit engines and custom inline finishing solutions. The retrofits are digital print engines that can be mounted into a new or existing flexographic press, which allows the press to become a digital hybrid work center. Dantex provides modular, upgradable press solutions. The company offers two digital press solutions that can be configured with or without finishing. The mid-range Picocolour press prints up to 35 meters per minute. Online full rotary die cutting allows the press to run at full speed. The Picocolour has additional finishing options such as digital varnish and inline lamination. The Epson SurePress L-6034UV UV digital label press offers digital varnish ink—a gloss or matte finish that can be selected for the overall label, and partial accents can be added using glossy or matte spot finish. The digital varnish enables users to save time and cost by applying matte, gloss, and even a combination of both in patterned or selective spot varnish effects. Focus Label Machinery Ltd. designs and builds inline capabilities such as rotary die stations, die adaptors, de lam/re lam, cold foil, peel and reveal, sheeting/stacking station, slitting, and roll to roll or roll to sheet. The company also partners with Stork for Rotary Screen inline, LundbergTech for matrix/edge trim removal, and tooling supplied by Rotometrics. Fujifilm offers options for inline rotary and semi-rotary die cutting, slitting, laminating, foiling, and more. The Gallus Labelfire 340 is a hybrid digital press featuring an end-to-end logical operating concept that integrates digital printing with conventional printing and further processing. Labels are produced inline in a single production operation—from the unprinted roll and die cut and matrix-stripped end product. The conventional modules support the use of primer, spot color, security, or cold foil features; varnish; or lamination without interrupting production—regardless of the complexity of the label. The latest innovation from Gallus is a digital embellishment unit, which can produce gloss and matte spot coatings and tactile relief effects in a single pass, all using atmospheric UV inkjet coatings. At LabelExpo, HP showcased the HP Indigo 6900 running inline with HP Indigo GEM, a digital label embellishment machine. Also, the HP Indigo 8000 will run dual mode inline finishing with the abg Digicon Series 3. Mouvent’s LB-701-UV features an optional module for die cutting and slitting. Mouvent is part of the Bobst group, which affords them the experience from one of its companies—Bobst Firenze, having an extended offering in the label market from printing to finishing. mprint offers a variety of finishing functions inline to its digital label printers, including rotary, semi-rotary die cutting, and laminating. While the systems are integrated entirely by mprint, they partner with Kocher + Beck for tooling. Nilpeter provides a flexible digital platform. Of three base configurations, two offer inline finishing with unlimited configurations to support the business needs. Inline, Nilpeter is able to incorporate the typical value-adding embellishments that flexography offers. Xeikon features a number of finishing solutions designed to work inline and nearline with its broad digital press portfolio. The Xeikon Dcoat post press unit is available in a range of widths from nearly 13 inches up to approximately 20 inches. Standard features include flood UV varnishing, lamination, semi-rotary die cutting, length slitting, and a dual spindle rewinder. They can be installed inline or offline to a range of presses from the Xeikon CX3 and Xeikon CX500 to the entry level Xeikon 3030. Another offering is the Xeikon miniDcoat unit, which includes an optional laser die cut unit. It is 100 percent integrated by the Xeikon Vectorizor that generates the die cut profile. The company also offers additional auxiliary equipment from Aura Partners to enhance the standard solution, allowing customers to further customize set up. Digital label production is heating up. A variety of both printing and finishing solutions target this segment. “Overall, the message is to understand what exactly you need to achieve for maximum return on investment in the whole production process,” shares Cosh.